“Emerald on Calcite.” © Rob Lavinsky, www.iRocks.com. Used with permission. Emerald has been synonymous with the color green since ancient times. A fine emerald is a truly breathtaking sight, and this member of the beryl family is well deserving of its placement in the traditional “big four” gems along with sapphire, ruby, and diamond. Emerald is the birthstone for May and for commemorating the 20th and 35th wedding anniversaries. Value factors hinge largely on color, with nuances of saturation and hue affecting price to a significant degree. The most desirable color is a slightly bluish green in a medium dark tone with strong to vivid saturation. Clarity is important, but inclusions are tolerated more in this variety than virtually any other gem. Top quality, unenhanced stones (with certification) can bring as much as 50% more in price than treated stones of the same size, color, and clarity. Top origins: Colombian emeralds command premium prices. Recent finds in Ethiopia may also command premium prices. Prices assume colorless clarity enhancement, (no dyes.) Average brilliancy of 40 to 60%. Add up to 20% or deduct to 10% for other cutting. Prices for emerald cuts, round, ovals and pear. Add to 10% for marquis. Refractive Index Varies by sources of crystals. 1.569-1.602. See "Identifying Characteristics" below. Luminescence Sometimes green in SW; very seldom weak red, orange in LW. If red fluorescence is seen, the color is visible in the Chelsea filter. Fluorescence is quenched by Fe, as in the South African and Indian emeralds. See "Identifying Characteristics" below. Enhancements Oiling, common. (Oils and epoxies are used to fill fractures, which reduces their visibility). Special Care Instructions Emeralds usually have internal fracutres, so clean with warm or room temperature soap and water. 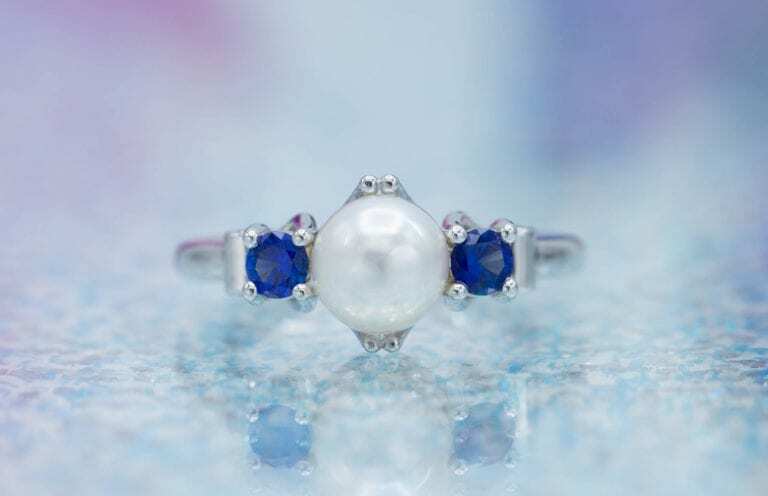 Avoid wearing gem where it will get rough treatment. Absorption Spectrum Very diagnostic. See "Identifying Characteristics" below. Uniaxial (-). Refractive indices vary by sources of crystals. See “Identifying Characteristics” below. From the Greek smaragados for “green,” through the Latin smaragdus to the Middle English esmeralde. Granitic rocks, especially granite pegmatites. Also, schists, metamorphic limestones, and hydrothermal vents. Long, hollow tubes, negative crystals, chrysanthemums. 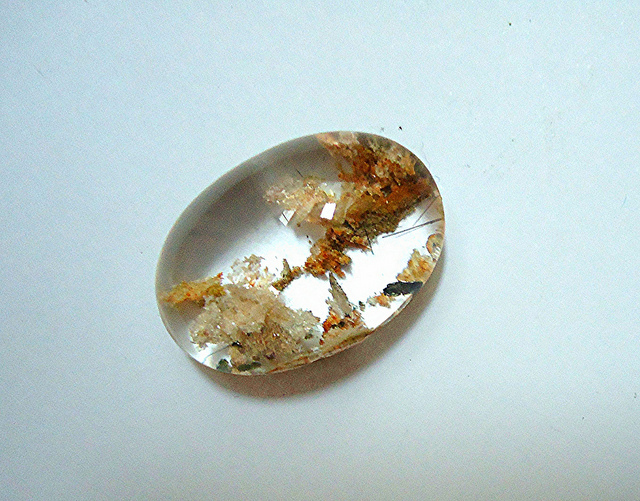 Inclusions also vary by source of crystals. See “Identifying Characteristics” below. Emerald is a medium or darker green to blue-green beryl gemstone, in which the green color is derived from impurities of chromium, vanadium, or a combination of both. Before 1963, the definition of emerald was limited to beryls with chromium impurities, but the discovery in Brazil of a large deposit of beryl stones colored green by vanadium led to modification. 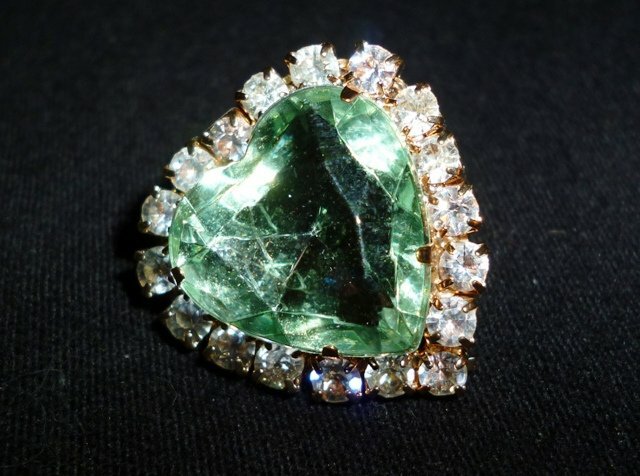 According to the modern definition, the purity and saturation of the green color of a beryl is what defines an emerald. However, in a situation similar to the division between pink sapphire and ruby, some chromium colored stones of light to medium-light green color are sometimes sold as emeralds though they could be considered green beryls. 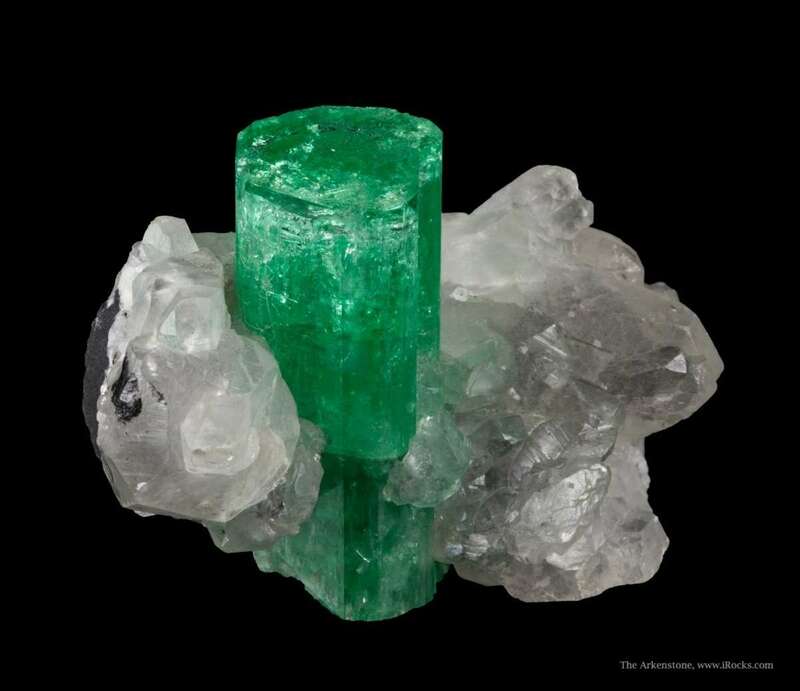 (Editor’s note: Some gemologists, including Dr. Joel Arem, define emerald strictly as beryl that contains chromium and consider beryls colored green because of vanadium to be simply green beryls). Varying amounts of iron will affect the color as well. More iron atoms increase the bluish tones. Geological conditions in Colombia produced exactly the slightly bluish-green shade and strong saturation that make stones from that locale the epitome of the variety. Emeralds from the Muzo and Chivor mines in Colombia can be distinguished in a general way. Muzo material is yellowish green, whereas that from Chivor is blue-green. (It sometimes takes a trained eye to see the distinction in color, however). Emeralds from Zambia may also display an unusual blue tone, with blue-green/yellow green pleochroism, due to their high iron content (0.73%). Zambian crystals may be intensely color zoned, with near colorless cores and dark green rims, almost like watermelon tourmaline. Recently discovered emeralds from Itabira, Minas Gerais, Brazil, rival the best Colombian stones in quality. They are typically light bluish-green down the c-axis. Emerald is considered a “Type III” gemstone, which means these gems are virtually always included to some degree. Because of this designation, a clarity grade of “very slightly included” is the normal range for emeralds. Well over 90% of the emeralds in commerce have been treated to minimize the appearance of the inclusions. Emeralds have fascinated people since ancient times. Not surprisingly, cultures from all over the world have developed a rich folklore around emeralds. Emeralds can feature many kinds of internal fractures and inclusions. The evocative term jardin, French for “garden,” is used to refer to this variety. The types of inclusions in emeralds can help identify their sources. Habachtal, Austria: Straight, broad-stemmed tremolite rods; biotite, rounded mica plates; tourmaline; epidote; sphene; apatite; rutile. Chivor Mine, 3-phase inclusions; pyrite; albite. Muzo Mine, 3-phase inclusions; parasite crystals (only known from Muzo mine), in yellow-brown prisms; calcite rhombs. Gachala Mine, parallel growth bands, needlelike growth tubes; 3-phase inclusions: albite, pyrite; 6-sided cleavage cracks. Coscuez Mine, 2-and 3-phase inclusions, pyrite, albite, quartz, partially-healed fractures. Bahia, Brazil: 2-phase inclusions: biotite; talc; dolomite crystals; liquid films. Goiás, Brazil: Pyrite, chromite, talc, calcite, hematite; notable also dolomite. Russia: Actinolite crystals, singly or in groups, resembling bamboo-cane; mica plates. Australia: Biotite (abundantly); actinolite; calcite; some 3-phase inclusions seen, tubes, “daggers,” fluorite. Transvaal, Namibia: Brown mica (makes gems dark in color); curved molybdenite crystals. Zimbabwe: Fine long-curving tremolite needles; also 2-3 phase inclusions, short rods or fine curved fibers; color zoning; garnets; hematite; feldspar; brown mica; negative crystals. India: Oblong cavities parallel to long crystal axis, with gas bubbles; biotite crystals parallel to basal plane; fuchsite, 2-phase inclusions; apatite crystals; groups of negative twin crystals with comma shape. South Africa (Cobra Mine): Mica plates and 3-phase inclusions. West Pakistan: 2-phase inclusions; thin films; some liquid inclusions, few mineral crystals. Tanzania: 2-phase and 3-phase inclusions; square-shaped cavities and tubes; actinolite, mica. Zambia: Biotite (black crystals) as small specks or dots; pinpoints, breadcrumb inclusions; also tourmaline (dravite) and magnetite. Material from Kitwe contains: rutile, chrysoberyl, muscovite, apatite, quartz, ilmenite, tourmaline, color zoning, 2-phase inclusions. Norway: Mossy inclusions; also interconnected tubes (make crystals turbid). North Carolina: Quartz crystals sometimes seen. Flux grown synthetic emerald: flux, platinum crystals, (metallic) phenakite crystals, (colorless and low relief) Venetian blind effect. The optical properties of emeralds can also help identify their sources. The absorption spectrum and luminescence of emerald are very distinctive and can help positively identify an emerald. o: 6830/6800 doublet plus 6370 line; broad band 6250-5800; narrow lines 4775 and 4725.
e: 6830/6800 doublet, very strong; no 6370 line, but see diffuse 6620 and 6460 lines; broad absorption band is weaker, no lines visible in the blue at all. Some Zambian emeralds contain Fe and display the spectral lines of aquamarine as well as emerald. 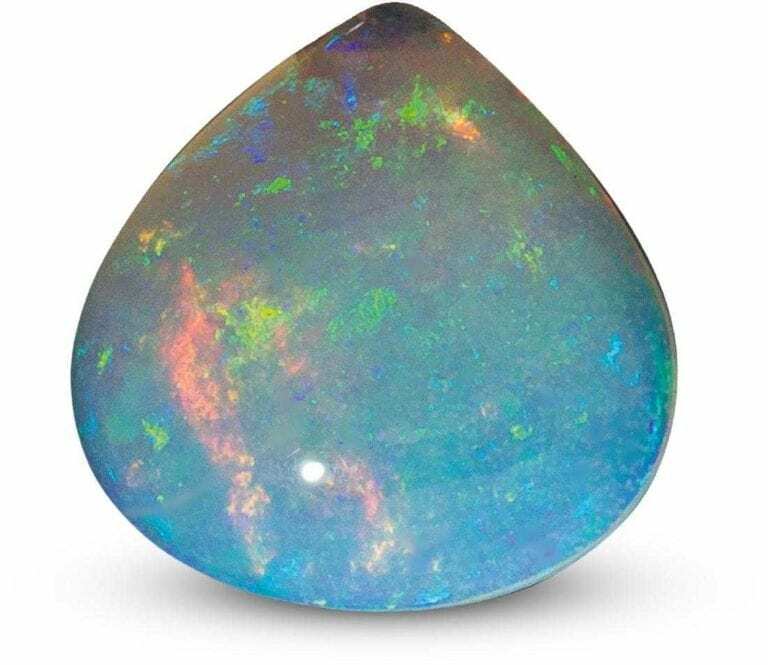 Pleochroism in these gems is also distinctive: blue/yellowish-green. 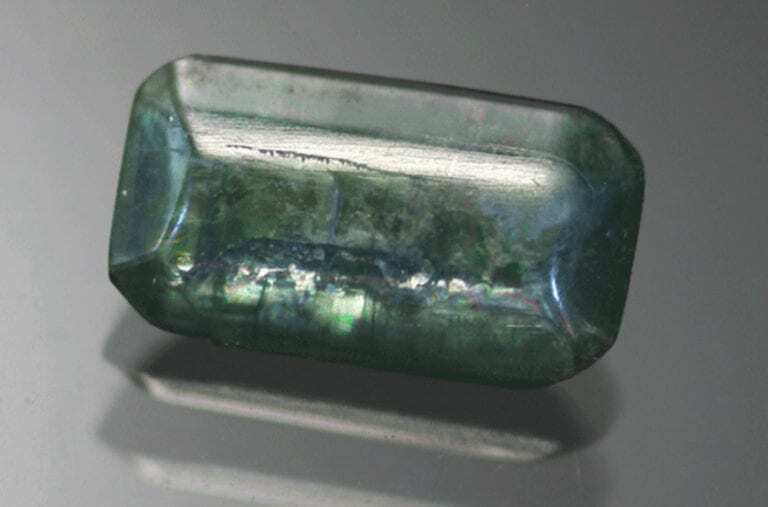 Most emerald synthetics have the same absorption spectrum as natural emeralds. Gilson type III may have a line at 4270. Emerald natural: usually inert, weak orange red to red, LW and SW. Oil in emeralds, moderate yellow green LW, weaker in SW.
Emerald, Chatham flux: weak to moderate red, LW and SW.
Emerald, Gilson Flux: usually weak to moderate red, stronger in LW, some weak to moderate yellow, yellow green, or orange, LW and SW.
Emerald, Gilson type III: inert. Emerald, Russian synthetic: weak to moderate orangish red LW, inert SW.
Emerald, hydrothermal: moderate to strong red, LW and SW, some inert. Emerald imitations often encountered in the marketplace include: glass, YAG, synthetic spinel triplets, green cubic zirconia, and beryl triplets. Within the last fifty years, two major processes have been developed to produce “lab created,” or synthetic, emeralds. If you’ve seen and priced synthetic emeralds, you might have wondered why they are so costly compared to other synthetics like CZs or some types of synthetic sapphires. Both the flux and the hydrothermal methods of production require costly equipment and are energy intensive. They take a long time to produce emeralds and have a low yield of cuttable gems. Some of the first lab created emeralds on the market weren’t convincing because they were so clean, but the sophistication of today’s consumer has led to a trend toward more naturally looking synthetics with inclusions. Although this improves their acceptability, it does make it a little more difficult for gemologists and appraisers to prove natural origin. 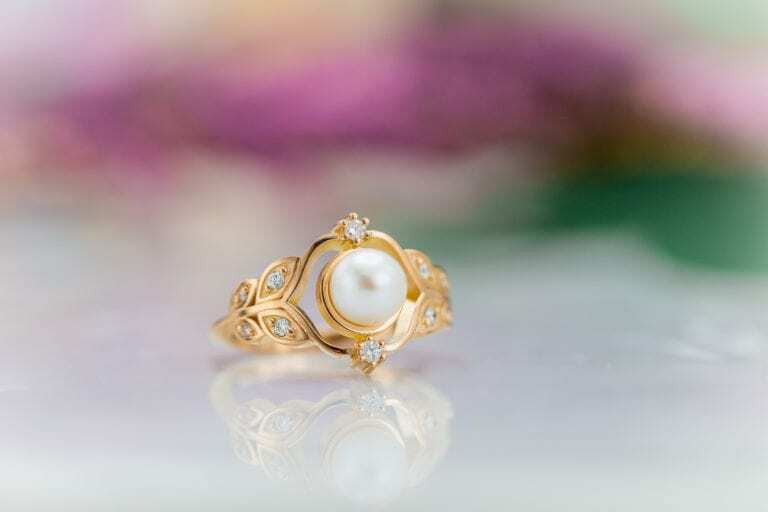 Fortunately, there are signs, particularly regarding the types of inclusions in a gem, which can conclusively verify natural versus synthetic origin. Emerald inclusions pose more than aesthetic considerations, however. Although emeralds, like other beryls, have a high hardness rating, they are more fragile than other beryls. (A high Moh’s rating doesn’t mean a stone is indestructible. It simply means the stone is more resistant to scratching). Their inclusions reduce their structural integrity. Emerald jewelry must be treated gently. The standard industry practice for emerald enhancement is “oiling.” This term refers to the practice of immersing emeralds in a colorless oil or resin. Often this is done using a vacuum chamber to assist penetration. Non-standard treatments go beyond this to using green colored oils and hardened, epoxy-like resins. 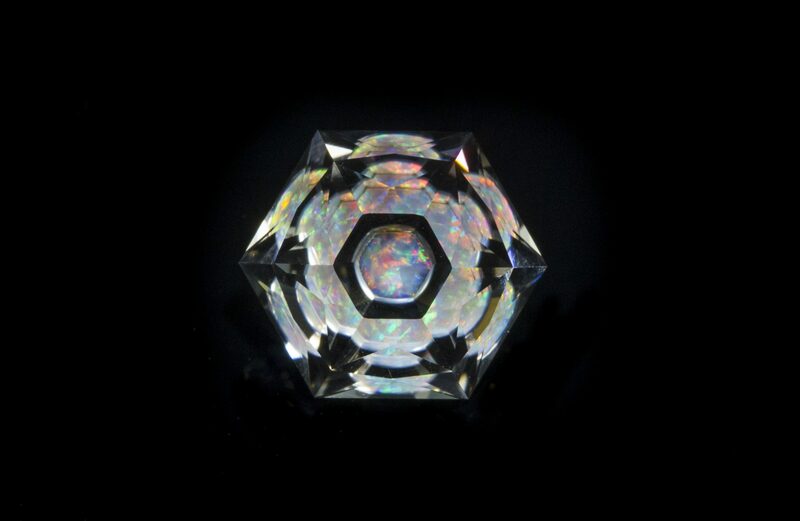 These treatments dramatically improve the appearance of the gems but necessitate special care in cleaning and setting. See “Care” below. The center of world emerald mining is in South America, with Colombia and Brazil as major producers. The African mines that supplied Cleopatra’s passion have long since been played out. However, today the African continent is second only to South America in production, with mines in Zambia, Zimbabwe, Madagascar, and Nigeria. Each of these locales typically produces a certain color, size, and clarity. The USA and Japan together purchase more than 75% of the world’s cut emeralds. Habachthal, Austria; Brazil; Russia; Sandawana, Zimbabwe; Poona, Australia; Cobra Mine, Transvaal, South Africa; Arusha, Tanzania; Lake Manyara, Tanzania; Ghana; Madagascar. Colombia: at Chivor, Muzo, Gachala, Coscuez, and Borur Mines. Zambia: at Miku and Mifulira, also other locations. Emerald is notorious for growing very large. 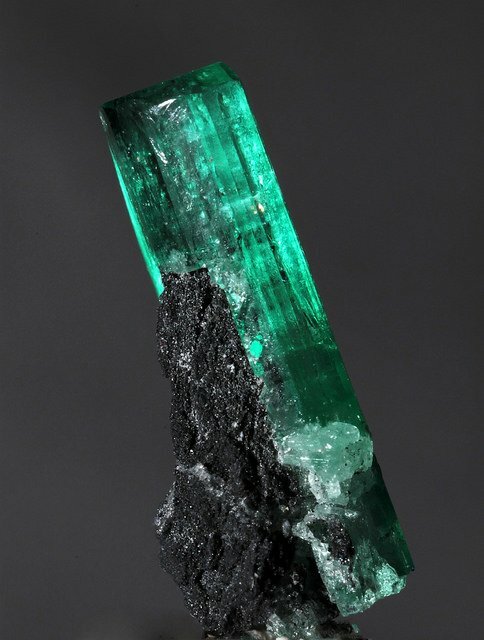 The largest emerald crystal extant weighs 16,020 carats and is from the Muzo Mine in Colombia. (The “Bahia Emerald” discovered in 2001 may take that title). 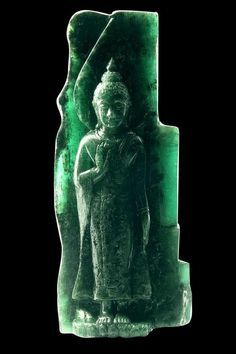 Many museums around the world display fine and large emeralds, both rough and faceted gems, as well as some carvings and tumble-polished stones. Moscow: 136 (nearly flawless, deep blue-green, step cut) (in the Diamond Fund). Kurnsthistorisches Museum, Vienna: 2681 carat vase, carved. Topkapi Museum, Istanbul: 6-cm hexagonal crystal; fine 8-cm crystal; 3 other large crystals. Banque Markazi, Teheran: Many cabochons between 100 and 300 carats; one is 175 carats, another 225. There are also faceted gems of 100 and 110 carats; unmounted cabochons of 320, 303, 144.4, and two others over 250 carats. British Museum (Natural History) (London England): “Devonshire emerald,” a crystal 51 mm. 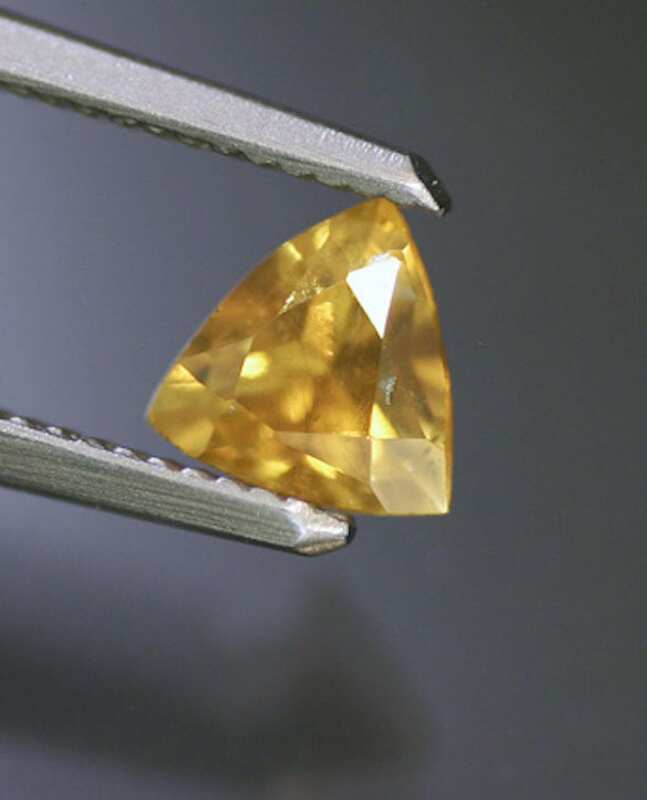 long, weighs 1384 carats, fine color. Banco de la Republica, Bogota, Colombia: collection of superb crystals from 220 to 1796 carats. Private Collection: Atahuallpa emerald, 45 carats, set in Crown of the Andes, a magnificent gold headpiece with 453 emeralds totaling 1521 carats. Emilia crystal from Las Cruces Mine (near Gachala) weighs 7025 carats. Vivid, slightly bluish-green stones of medium to medium-dark color are often called “Colombian emeralds” no matter what their actual geographic origin. 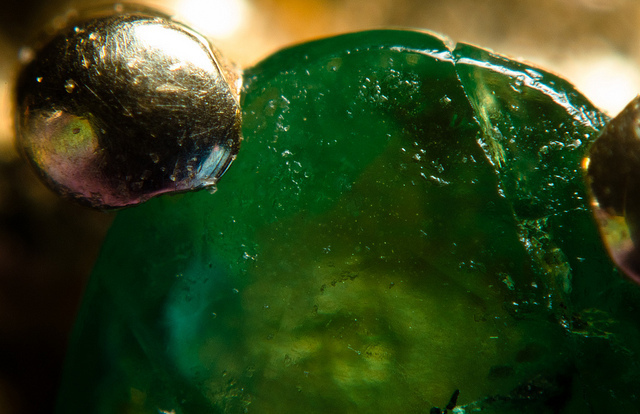 Emeralds of lighter color are sometimes called “Brazilian,” even if they were mined in Africa. Mechanical cleaning is not recommended for emeralds. (Ultrasonic, steam, and boiling methods can shatter emeralds or, at best, necessitate re-oiling). Consult our gemstone care guide for recommended cleaning methods.